Love the pair you wear? Enjoy clear & sharp vision with new lenses in your existing frame. Let us fit new lenses in your existing frame. We offer UK's fastest frames and sunglasses reglazing service. Need help? Call our reglaze glasses helpline on 020 3287 3355. What is the reglaze glasses service? a)Change in prescription - If it has been over two years since you have had your eyes tested, we strongly recommend a visit to the optometrist. If your prescription has changed and you need new lenses, we can glaze new lenses in your frame. b)Broken or damaged lenses - Well, we’ve all ended up doing silly things like sitting on our glasses or damaging them due to some kind of carelessness! Please do not worry. Our online glasses reglaze service is cheaper than high street optical stores. We will glaze new lenses in your frames and help you see clearly again. c)Existing lenses don’t feel clear and seem to offer distorted vision - Try us out. The quality of our lenses is outstanding and we only reglaze glasses on Essilor machines. It is because of the confidence we have in the quality of our prescription lenses, that we can offer a 100% guarantee on our reglaze service. What types of lenses do you reglaze? Being one of the leading online reglazing experts in UK, we offer optical lenses for every use. If you use your glasses only for one purpose i.e. distance or reading use, you will only need single vision lenses. Alternatively, if you are over 40 and have been advised bifocal or multifocal lenses, we offer these lenses too. Can you explain the difference between reglazing single vision lenses, bifocal lenses and multifocal lenses? a)	Single vision lenses - are used either for distance or for reading. If you read your prescription carefully, the optometrist would have clearly marked and mentioned the type of lenses required. 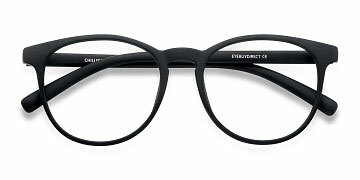 Sometimes, the opticians write SV lenses - this means that you require single vision lenses. b)	Bifocal lenses - If your prescription mentions that you need glasses for both, distance as well as reading use, you need bifocal or multifocal/progressive lenses. Bifocal lenses have a line that clearly differentiates the distance area from the reading area. The only downside of bifocal lenses is that they show off our age, because these glasses are mostly recommended over the age of 40. Instead of suggesting bifocal lenses, we suggest reglazing your frames with multifocal/progressive lenses. 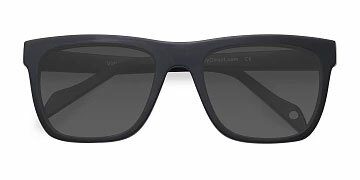 c)	Multifocal/progressive lenses - Multifocal lenses are also called progressive or varifocal lenses. These lenses are required if you need glasses for both, distance as well as reading use. If you are over 40, there is a high chance that you have been prescribed these lenses. d)	Computer lenses - Use digital devices for over 3 hours a day? We can reglaze computer lenses, also known as digital lenses in your existing frames. You will see this option during the checkout process. Where will my glasses be reglazed and how long will it take? Your glasses will be reglazed at our lab in Shepshed. Single vision lenses are normally posted out within 2-3 working days after we receive the frame/s. Reglazing bifocal and multifocal lenses takes approximately 10-12 working days. Can I deliver the frames that I would like to have reglazed? Sure! If you are in Shepshed you can visit us at Unit 2 (1347), Kenway Brook Street, Shepshed, Leicestershire LE12 9RG. I don’t see my PD (Pupillary Distance) on my prescription. How will you reglaze my glasses? Please use a ruler or a measuring tape to carefully mark and measure the distance between your pupils on the lenses. Alternatively, you can also contact your optician to provide you with the same. Can I place my reglaze order online? Yes, it’s easy. All you need to do is select the type of frame you would like to reglaze from the options mentioned on the left, and proceed with placing your order. You will see all the types of lenses we offer during the checkout process. What if I am not happy with the reglazed glasses? It’s simple. We are the only optical dispenser to offer a 100% money back guarantee. This means that if you are not happy with the new lenses glazed in your frame, simply call us and we will sort you out or give you a full refund if we are unable to fix the issue. 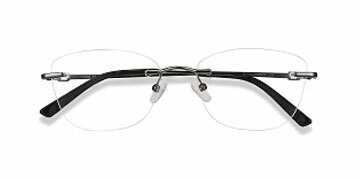 Our customers trust us owing to the quality and money back guarantee we offer on every pair of eyeglasses we reglaze. My frame is old, but I love it. Will you reglaze it? We reglaze all types of frames. 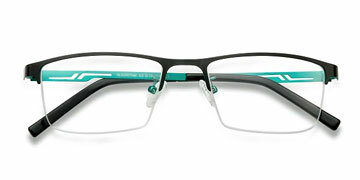 Very often, we have reglazed frames that high street optical stores have refused to reglaze. This is owing to our expertise in the optical industry. If you are concerned about the condition of your frame, pop it in the post. We will verify the condition of the frame and undertake the reglaze service only if we are confident that we can do a great job. If for any reason, we are unable to reglaze your eyeglasses, we will post them back to you at no additional cost. Yes, we do reglaze sunglasses as well. We can have new prescription lenses reglazed in your sunglasses or even reglaze them with plain tinted lenses. Even the colour of tint can be matched to make it look like your original pair. Where should I send the frames which I want you to reglaze? Please place your reglaze order online and then send the frames to Unit 2 (1347), Kenway Brook Street, Shepshed, Leicestershire LE12 9RG. Please mention your order number and name clearly before sending the frames out. Perfect Glasses runs a premium glasses reglaze service. This means that if you have broken your existing lenses in a frame that you love or your prescription has changed, we can have the lenses replaced for you. We offer a quick reglaze service, if it is just a single vision lens that needs to be reglazed. Kindly note that bifocal and varifocal lenses will be reglazed within 10 to 12 working days after we receive the frame/s. Once you place your reglaze order you will automatically receive an email containing our Shepshed lab address to send your glasses to be reglazed.